Strike King Premier Pro-Model Spinnerbait - 1/2oz Hot Solid White with Silver Blades. 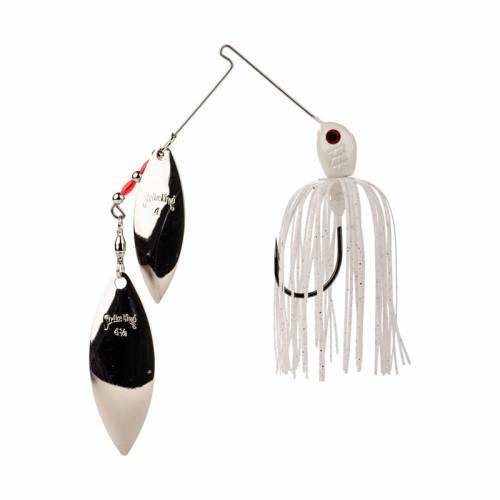 Spinnerbait featuring the Z-Man perfect skirt that blooms wide and even and Magic Tail that provides extra action to the skirt. Detailed, painted head and holographic 3D eyes create a beautiful, realistic look. Blades are 24k gold or nickel plated and attached with a flex-bend spring-tempered stainless steel wire. Pre-rigged with a sabre point trailer hook and ready to fish straight from the package. Assorted colors and weights available.